Many translation solutions (often called procedures, techniques, or strategies) have been proposed over the past 50 years or so in French, Chinese, Russian, Ukrainian, English, Spanish, German, Japanese, Italian, Czech, and Slovak. 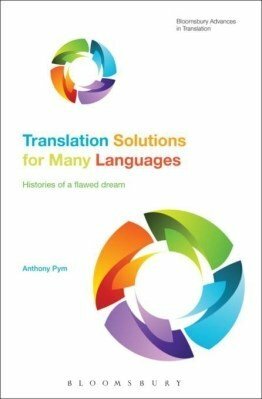 This book analyzes, criticizes and compares them, proposing a new list of solutions that can be used in training translators to work between many languages. The book also traces out an entirely new history of contemporary translation studies, showing for example how the Russian tradition was adapted in China, how the impact of transformational linguistics was resisted, and how scholarship has developed an intercultural metalanguage over and above the concerns of specific national languages. The book reveals the intensely political nature of translation theory, even in its most apparently technical aspects. The lists were used to advance the agendas of not just linguistic nationalisms but also state regimes – this is a history in which Hitler, Stalin, and Mao all played roles, Communist propaganda and imperialist evangelism were both legitimized, Ukrainian advances in translation theory were forcefully silenced in the 1930s, the Cold War both stimulated the application of transformational grammar and blocked news of Russian translation theory, French translation theory was conscripted into the agenda of Japanese exceptionalism, and much else.